3 Roads Communication, Inc., is skilled and experienced at creating, marketing and distributing television programs on public and commercial television. 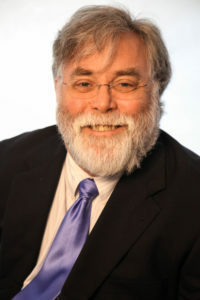 3 Roads’ Founder Russ Hodge has personally created more than two dozen programs for domestic and international distribution, including The Truth About Money with Ric Edelman, Politically Incorrect, McLaughlin, Off the Record, Fox News Sunday, Legends of Airpower, Frontiers of Medicine, and For the Love of Their Brother. 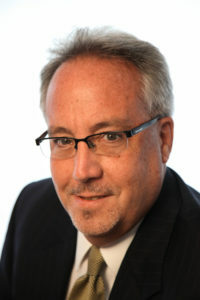 Russ Hodge is an Emmy Award-winning producer with over 25 years of experience in news, public affairs and documentary production and programming. Mr. Hodge recently returned to 3 Roads after serving as the first Director of Television for the Voice of America. At VOA he oversaw the creation and production of more than one hundred hours of original video programming per week in 45 languages. The largest U.S international broadcaster with an overall audience of an estimated 134 million, Mr. Hodge managed 18 bureaus around the world, and a multimillion dollar budget. CEO and Executive Producer, 3 Roads Communications, Inc.
Cynthia Scott-Johnson is an award-winning communication strategist with specialized expertise in television production and distribution. Ms. Scott-Johnson brings over 25 years of experience planning and implementing communication strategies to provide clients with effective counsel to navigate today’s high-tech and fragmented media environment. Senior Producer, 3 Roads Communications, Inc.
Terry Irving is an Emmy award-winning Senior Producer, digital media executive, experienced editor and talented writer. A flexible and determined team leader, he has a long track record of creating quality content in a wide spectrum of subject areas without missing deadlines or breaking budgets by managing highly productive teams in news, internet media and business. Additionally, he has written and edited television, news, magazines, articles, a novel, documentaries and -the hardest of all -jokes. The Center for Holocaust and Humanity Education in Cincinnati, OH. educates about the Holocaust, remembers its victims and acts on its lessons. Through innovative programs, and partnerships, CHHE challenges injustice, inhumanity and prejudice, and fosters understanding, inclusion and engaged citizenship. Resources include traveling and permanent exhibits, teacher training and innovative programs. CHHE has granted unlimited license to use their archives of materials for our film, and serve as fiscal sponsor at no charge. They will receive 50% of all profits from the film. Frieder Films, LLC was established to educate and inspire audiences with stories that exemplify Moral Courage. Dr. Barbara W. Sasser and Ms. Peggy J. Ellis, granddaughters of Alex and Morris Frieder respectively, served as co-producers for “Rescue in The Philippines…Refuge From The Holocaust. Dr. Sasser was born and raised in Cincinnati, OH. She received an undergraduate degree from Vanderbilt University and a PhD in Biochemistry from the University of Texas Medical Branch in Galveston TX where she currently resides. Involved in community service, she serves on several non-profit boards. 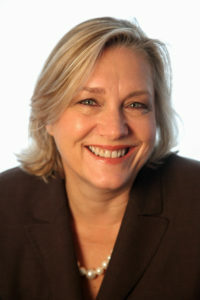 Without previous experience in film making, she established Frieder Films in 2011 to make “Rescue in the Philippines”. Ellis & Company transforms client strategic vision into achievements. Ellis & Company first articulates the client’s vision then identifies and implements public policy, political, coalitions &/or communications objectives to realize that vision. Ellis & Company clients range from the U.S. Chamber of Commerce to the Cato Institute to Esperanza, the largest Hispanic faith-based organization in the country.